We’re committed to ensuring that our clients have the tools and guidance they need to intelligently manage traffic flow today and in the future. Our electronic tolling, road usage and congestion management solutions help you keep up with an ever-changing environment and get more travelers where they need to go while generating revenue for much-needed infrastructure improvements. Roadway Charging & Management has evolved to support the digital age. The demand for faster and greater throughput technology has led to concepts that replace toll booths altogether in favor of all-electronic tolling (AET). See Conduent Transportation’s solutions that enhance mobility, improve safety, safeguards revenue and helps create a better, more convenient driver experience. Looking for some added operational efficiency? We install the overhead and roadside hardware and related software necessary for a high-functioning tolling system. Our toll processing and customer experience solution ensures that it’s easy for drivers to reach out to customer support to quickly resolve any issues. Because everything we offer is tightly intertwined, we’re able to leverage the data we collect on the operations side to continuously improve customer service. Our Vehicle Passenger Detection System (VPDS) helps keep your HOT/HOV lanes moving by using video analytics to identify and document violators. VPDS is able to determine the number of occupants in a vehicle with more than 95% accuracy at speeds ranging from stop-and-go to 100 mph, eliminating the need for staff or law enforcement to monitor toll plazas. Once the violator has been identified, a license plate recognition camera captures their plate number as evidence for enforcement. While most vehicles traveling on toll roads are likely to have a transponder, some inevitably will not. 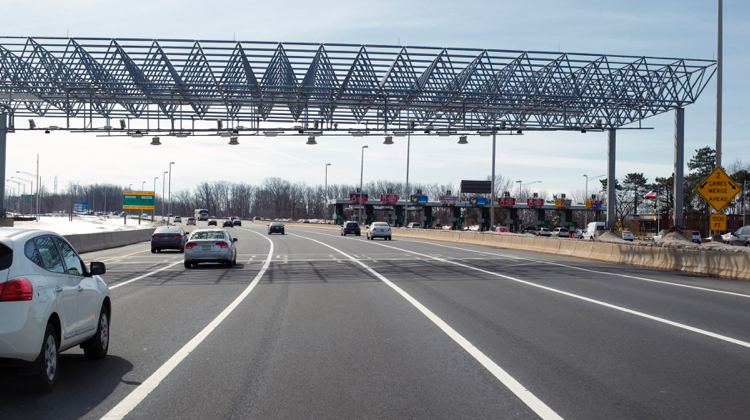 An essential part of any all-electronic tolling program, our Automated License Plate Recognition system identifies every vehicle accessing toll roads so you don’t miss out on revenue while keeping traffic moving at speed. We integrate human-centric design, dynamic pricing, advanced imaging and platforms that can stream data from multiple sources to create the most advanced congestion management programs for your city or region.